I live on a main road and were I have gotten used to the traffic and the bus that runs all night has almost become a comforting sound as it rolls by before drifting off to sleep or in the mornings when waking up. It's also the lights of these buses that keep my company as I stay up late baking. I have always preferred to bake at night. I think it's because when I started baking I was a stay at home mom and I liked waiting until the kids were in bed and it was a way of de-stressing. Unless it didn't turn out and then I would stress more. But generally speaking it was therapeutic weighing out the ingredients and mixing them all together before popping it into the oven and then cleaning up before taking it out of the oven to cool and going to bed. If it was cake it would get frosted in the morning and if it wasn't it would cool ready to be eaten in the morning. It was my birthday a couple of weeks ago and so I found myself up late baking again, something I haven't done in a while. And as it was my birthday I baked something just for me. A treat that isn't found here in the UK (if it is I have never seen it), a treat that reminded me of home. 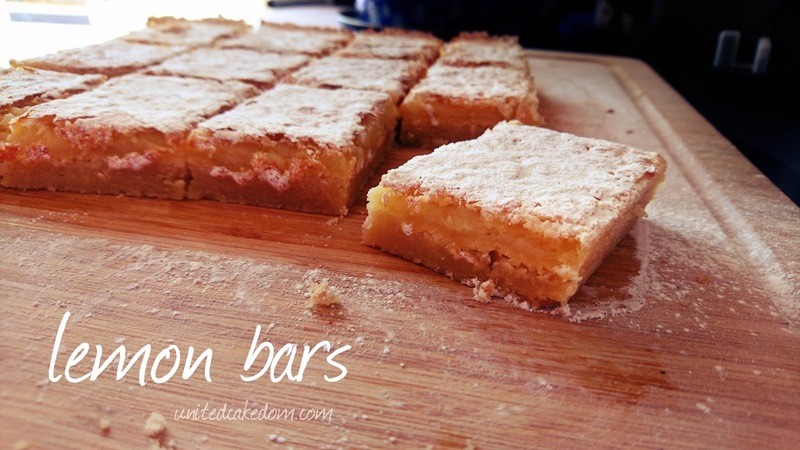 Lemon Bars. I can't remember the last time I had one. My extensive baking book collection uncovered several recipes for lemon bars and all of them were pretty much the same. 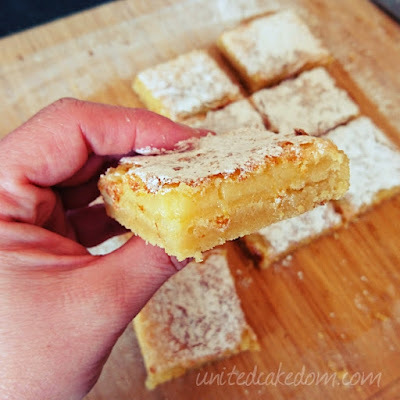 So, here is how I made these buttery tart lemon bars. Beat the eggs until frothy using a hand mixer. 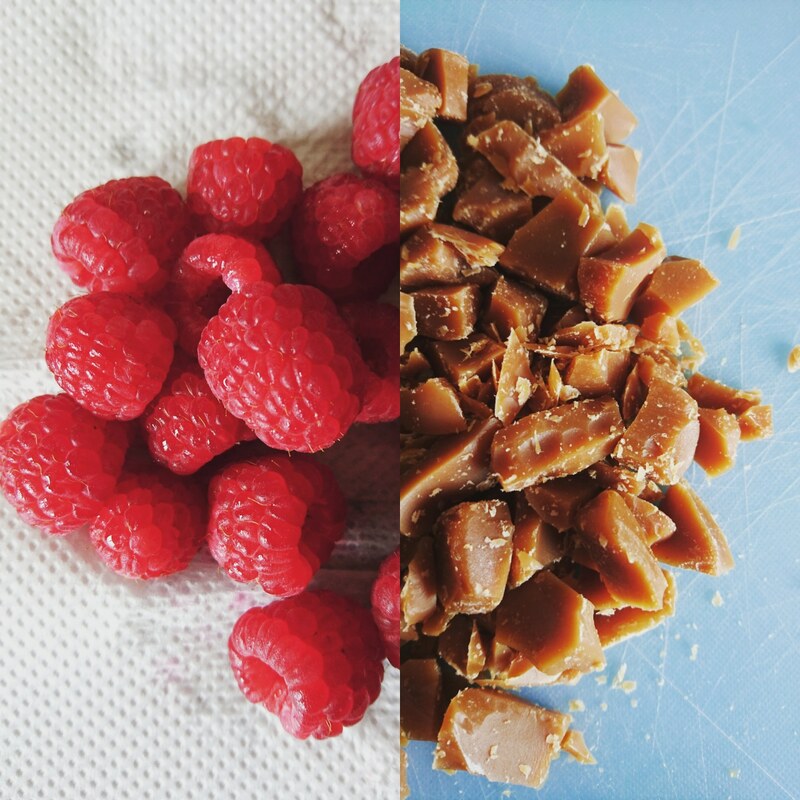 Add the sugar little by little, until just combined. Beat in the lemon juice and zest on medium high for a minute or two until combined. Mix in the flour and salt and then poor over the baked crust and bake for 15 more minutes. The edges should be slightly browned and the top should have tiny bubbles. Leave to cool for at least an hour or if you're like me over night. 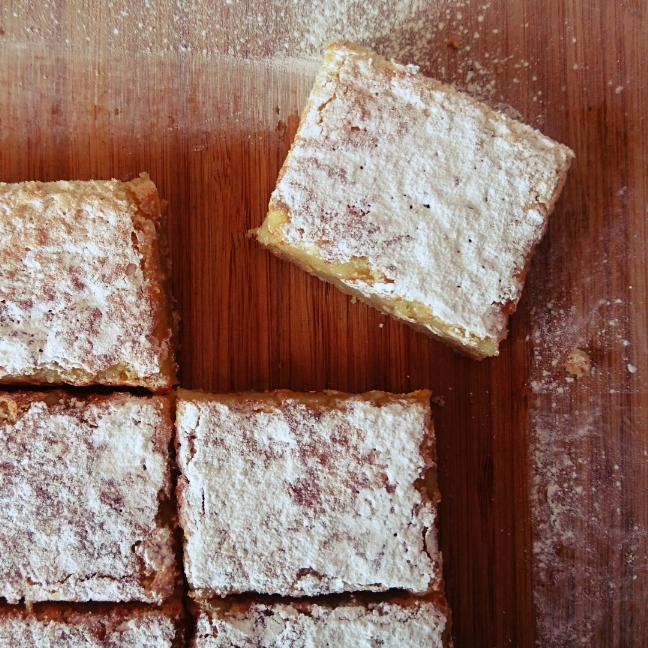 Cut and sprinkle with icing sugar just before serving. *tip - for the butter in the crust bring it out of the fridge just as you are measuring ingredients. You don't want it to be room temperature or worse melting. Not only do I stay up late baking, I stay up late blogging too. I wonder why I don't like mornings, but I think it's pretty obvious that I stay up way too late! Wether you are a late night baker or not I hope you enjoy them! I have been to pretty much every restaurant on the Riverside and even ones that aren't there any more. However, there are only a few I actually go back to time and time again. 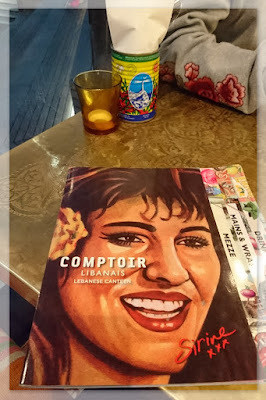 Now this was my first visit to Comptoir Libanais (literally means Lebanese Counter) since it opened last year on The Oracle's Riverside - it is literally on the river and has a nice view of said river. That aside the food was good and I don't think it will be my last visit to this restaurant. My friend and I were in town and decided we were hungry, but we didn't know what for? It's a common thing with us never being able to agree or decide on what to eat. 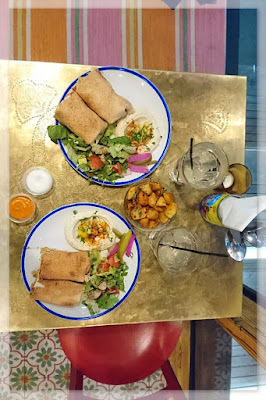 The only thing we did know and agree on was the fact that we hungry, but not that hungry and were looking for a reasonable meal with a reasonable price. 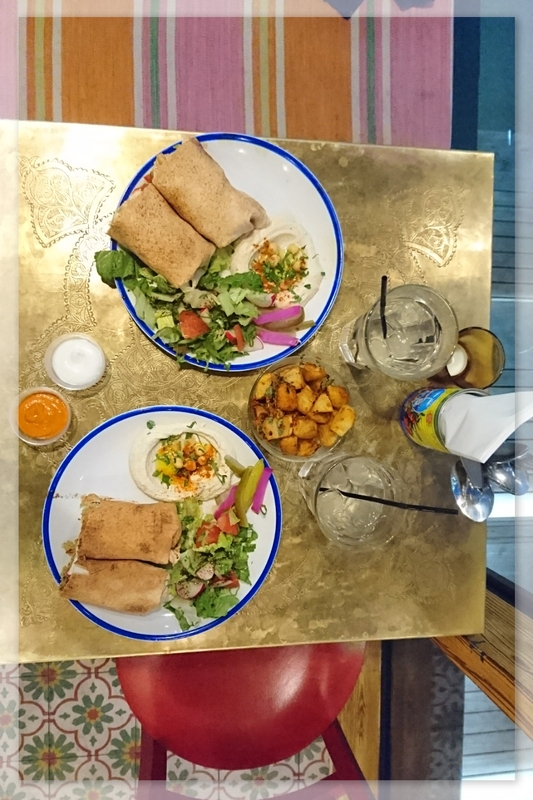 Eating out is a luxury and that's why it's important to have a good experience. We were greeted when we walked in and pretty much seated right away. The waitress was informative and helped us decide on final choices. The food came so quick and it was delicious. 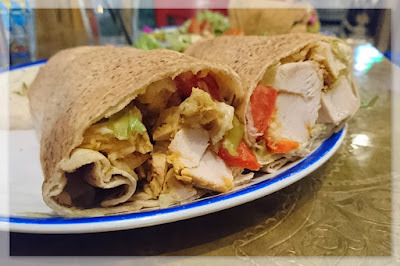 As I mentioned above we were hungry, but not that hungry so we both went with a wrap. I went with the Chicken Taouk Wrap - it was stuffed with marinated chargrilled chicken, pickled cucumber, tomato & garlic sauce. 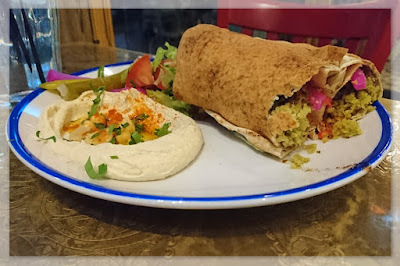 My friend went with the Falafel Wrap (he is a vegetarian) which has chickpeas, broad beans, coriander, garlic, peppers, tomato, pickled turnip, parsley and a tahini sauce. 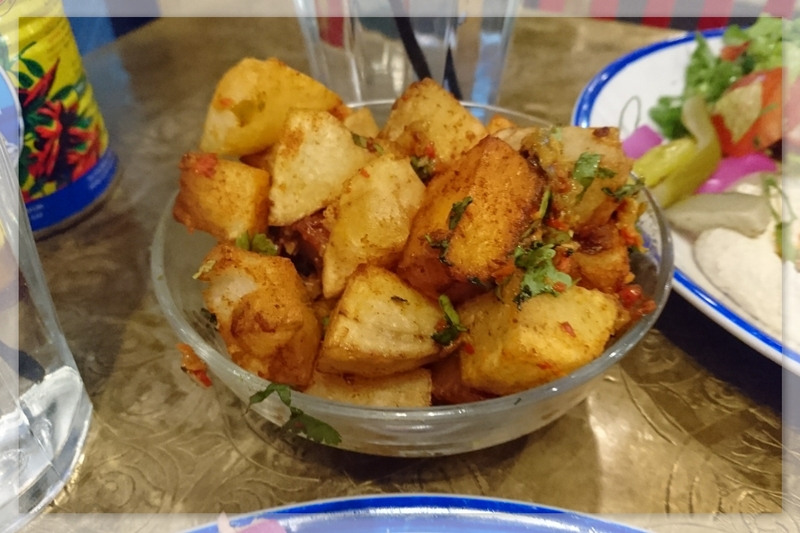 By the recommendation of our lovely waitress we tried the Batata Harra or Lebanese spiced fries with red peppers, fresh coriander, garlic & chilli. They were good and we dipped them in garlic mayo and I believe a chilli mayo. I think on my next visit I will be trying the hot and cold Mezze (a selection of dishes). 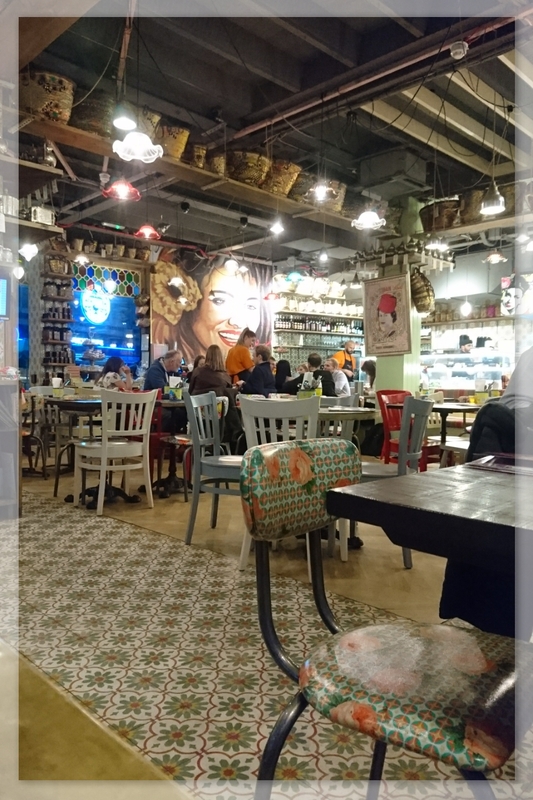 I think I would visit here again, I don't go out all that often and it's nice to know where you can go to get a good meal. *I was not asked to visit nor review this restaurant I just figured as it was literally the only one I hadn't visited on the riverside and I had a good experience there that I would share it with you! If you have been let me know what you like to get in the comments below! I have been blogging for a long time and at one point it was almost an obsession. 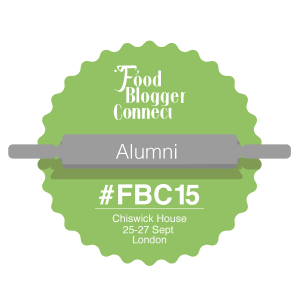 But blogging was easy because I loved everything to do with what I was blogging about - baking. 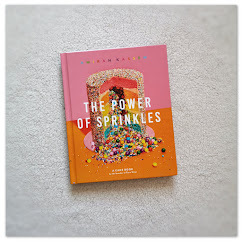 I still enjoy baking and I still love reading cookbooks - it's why you still see quite a few book reviews on here - I even enjoy writing and taking photos, but my life now has limited extra time for those things, I have different priorities, hence why my frequency of posts has dropped so dramatically. The one thing I don't enjoy is the stress and anxiety of social media. So, I have found a platform I enjoy (instagram) and use it as and when I get an opportunity I go on twitter and facebook and update things, but I no longer stress about how many likes or retweets I get. 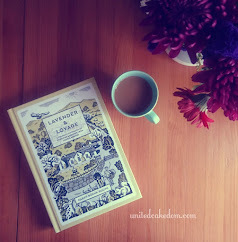 I was asked once why I blogged and I answered mostly for me. 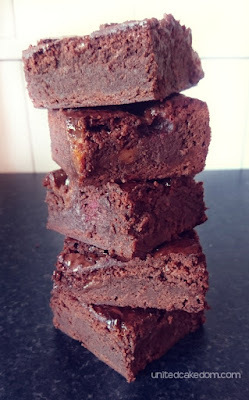 And for my love for baking, reading, writing, photography etc.... blogging was and is my creative outlet and if I get a few loyal readers or lots of people dropping by great! But it's not why I blog. The internet is a hard place to live in and understand. These brownies are a recipe that I have tried and tested over and over again and thankfully aren't that hard to understand. 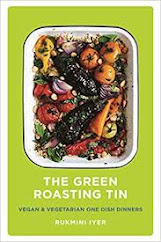 I originally got this recipe from a BBC Good Food Magazine and the other day I opened up one of their issues and it was in there again, because it is literally that easy and good. It has been adjusted over and over and to be honest this batch of brownies I couldn't even tell you what I put in them exactly. I just sort of threw it all together. But if you want to throw a batch together this is how you could do it. 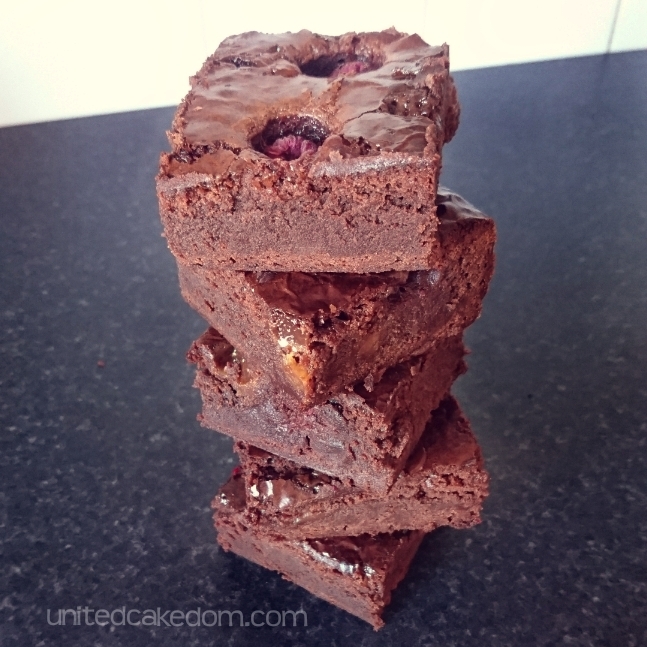 Preheat oven to 180C/gas4 and line a brownie pan or 8in square pan with parchment paper. Then add the eggs one at a time to the melted chocolate mixture. Sift the flour, cocoa powder and espresso powder into the pan and stir until just combined. 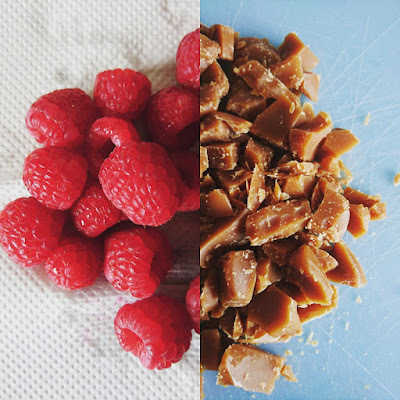 Gently fold about half of the raspberries and toffee into the mixture, pour into the prepared pan and sprinkle the remaining raspberries and toffee over the top. Bake in the pre-heated oven for a minimum of 35 minutes. 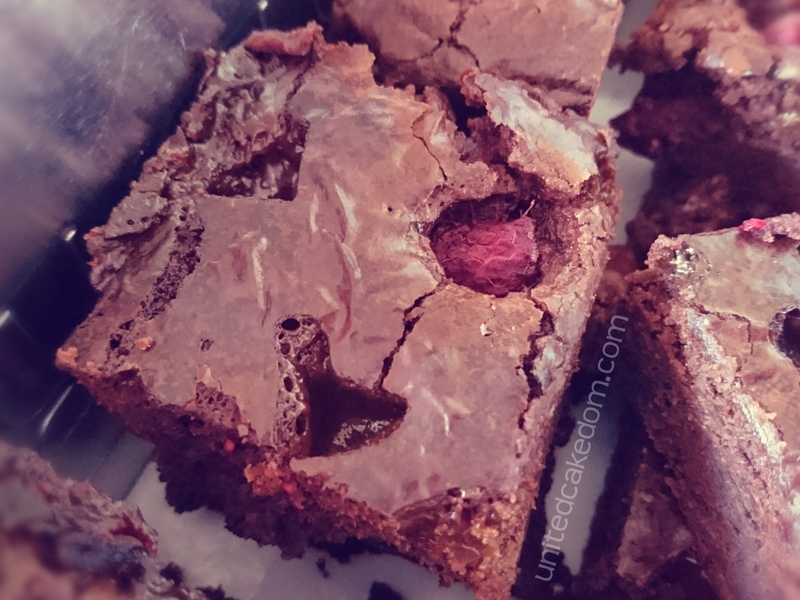 If you are using the 8 inch square pan you may want to give them an extra 5 minutes, if you are using a brownie pan or a 9 inch pan then I would still closer to the 35 minutes. Cool completely before cutting into squares and eating! 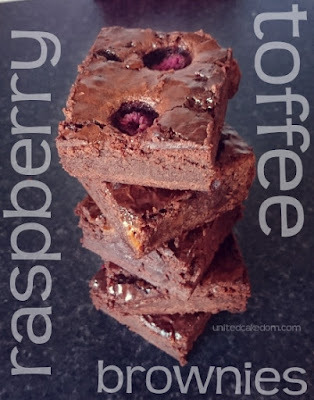 As mentioned the original recipe was not mine own, however this recipe only resembles the original, as was modified to fit what was in my cupboards! If try these out let me know how you adjust them in the comments below, I am always looking for ways to make the different! When I moved to the UK from the US I was and still am constantly told I was brave for making that move. At the time I was young and the opportunity was there so I took it not really thinking about it as anything but that, an opportunity. However, when reading or hearing of other people's stories I think "gee they are brave" forgetting I have done it myself. Looking back at my own story and reading the story of Marjorie Taylor and Kendall Smith Franchini I can't help, but concur it is actually a big thing. A huge life changing decision that does take bravery and a lot of faith that things will work out. Both mother and daughter have always loved France and French food so, it's no surprise they have ended up in France. Both have professional backgrounds in food and wine so they combined that passion with their love for French food to create something truly inspirational. A cooking school in a town called Beaune, in the heart of Burgundy's wine country. 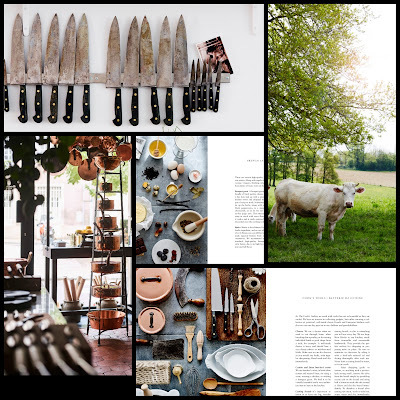 The Cook's Atelier is so much more then just a cookbook, it's a record of their joinery so far. 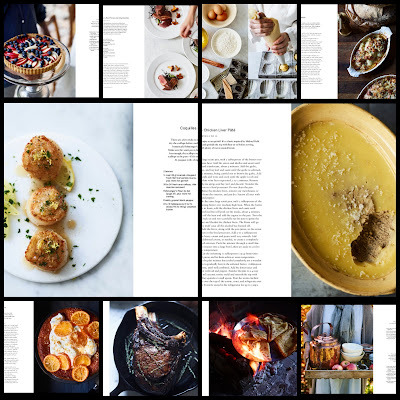 It not only shares more then 100 recipes, it shares classic French techniques as well as introducing the people in their community, the people who support them and whom they support and are essential to their cookery school. If you have ever wanted a proper look into French cuisine and life look no further! 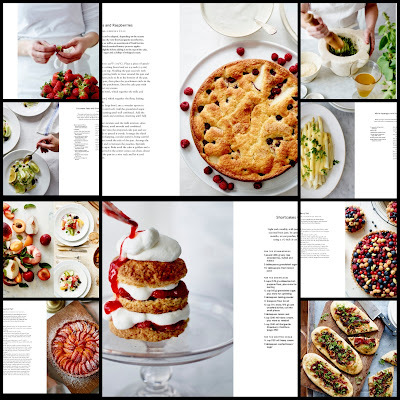 At this point I list all the recipes I'd like to try. I do this one to share with my readers what sort of recipes to expect to find inside, but also as a record for me to go back too. 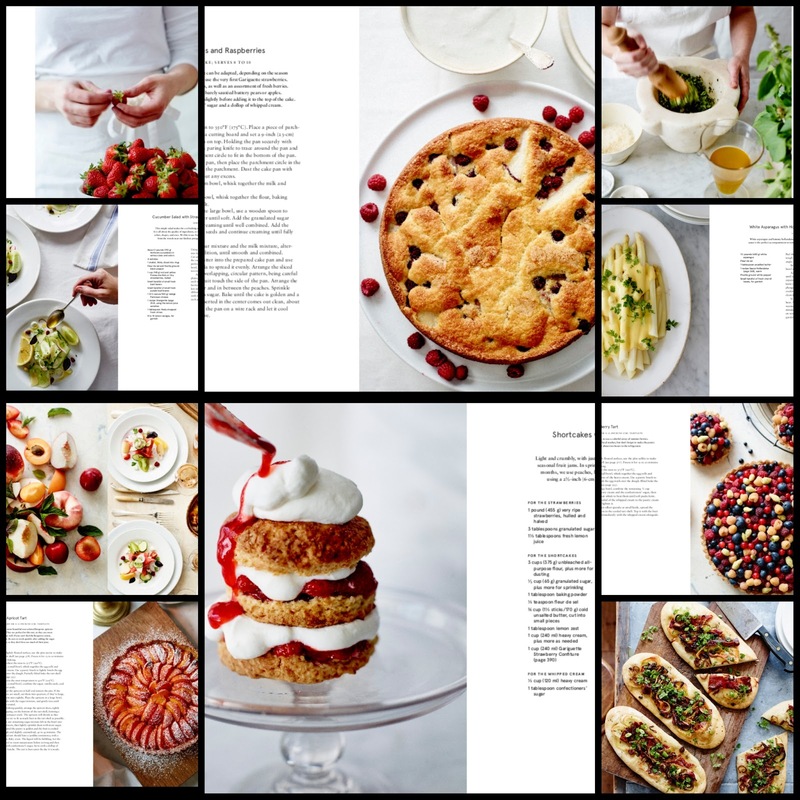 However, there are so many delicious looking recipes and my list was so long I narrowed it down to my top 10! 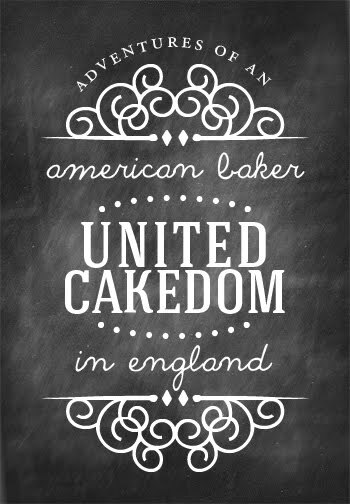 Please note that I am a baker at heart and although I list more sweet then savory please know there are a lot more savory recipes to admire and try out! If I ever have an opportunity to visit and explore France, I think I will be checking if they have a space in one of their workshops! Want to know more - grab your own copy of The Cook's Atelier and/or visit The Cook's Atelier website!! 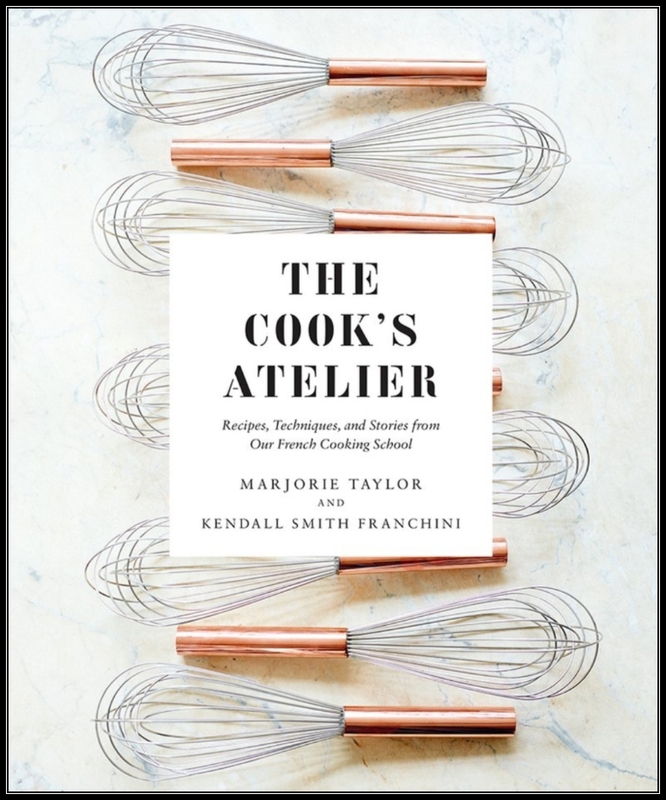 * I was provided a digital copy of The Cook's Atelier by Marjorie Taylor and Kendall Smith Franchini to review by the publisher, Abrams, retails at £35.00 and available now from your local book retailers or online! All opinions are my own, I was not given any other compensation nor was I asked to give a positive review, please see my contact/policy page above for more information.